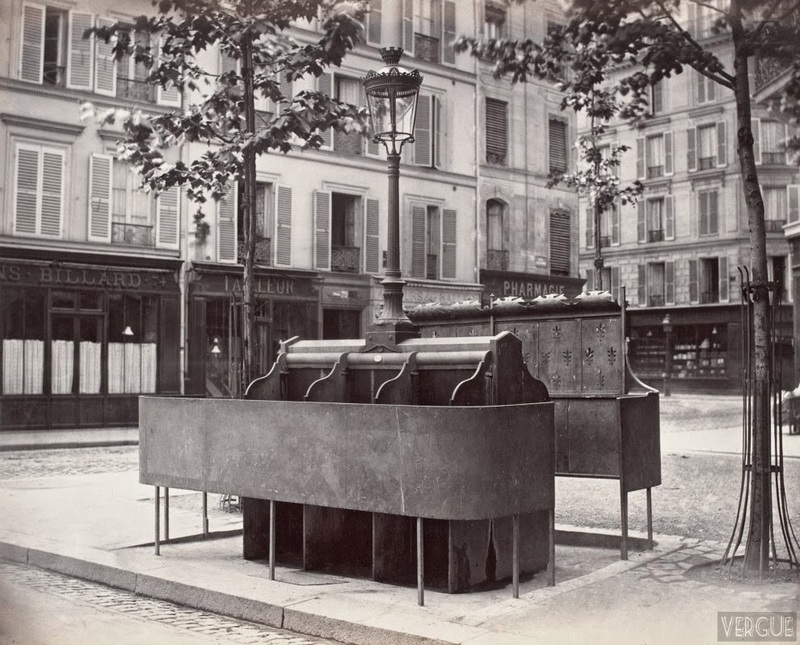 Charles Marville (1813–1879) was a French photographer, who mainly photographed architecture, landscapes and the urban environment. 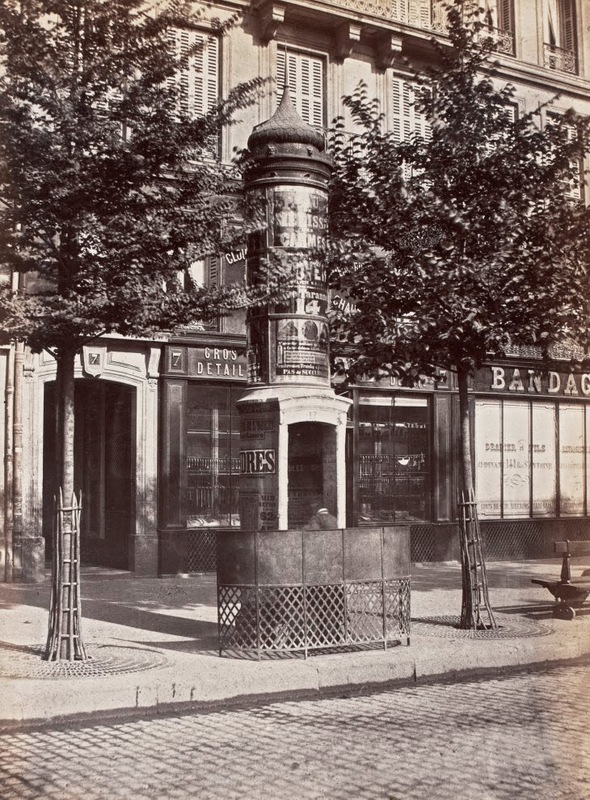 By the end of the 1850s, Marville had established a reputation as an accomplished and versatile photographer. 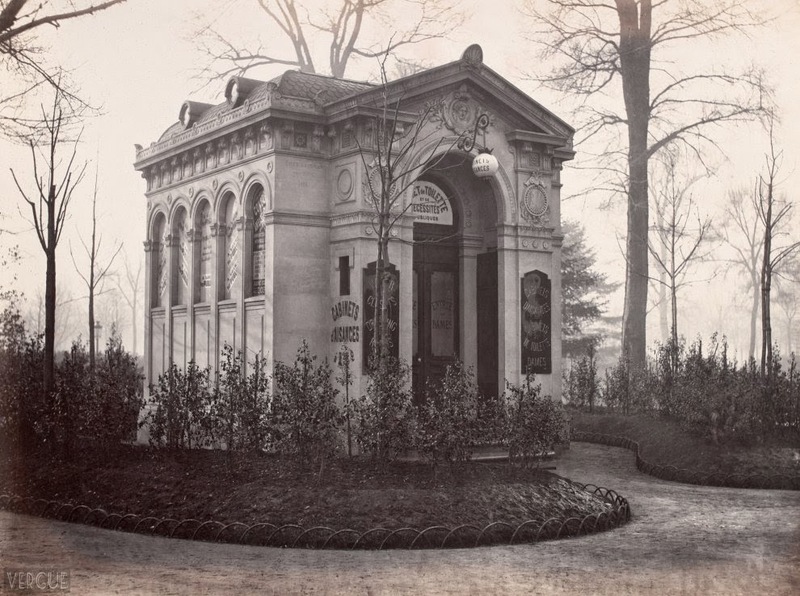 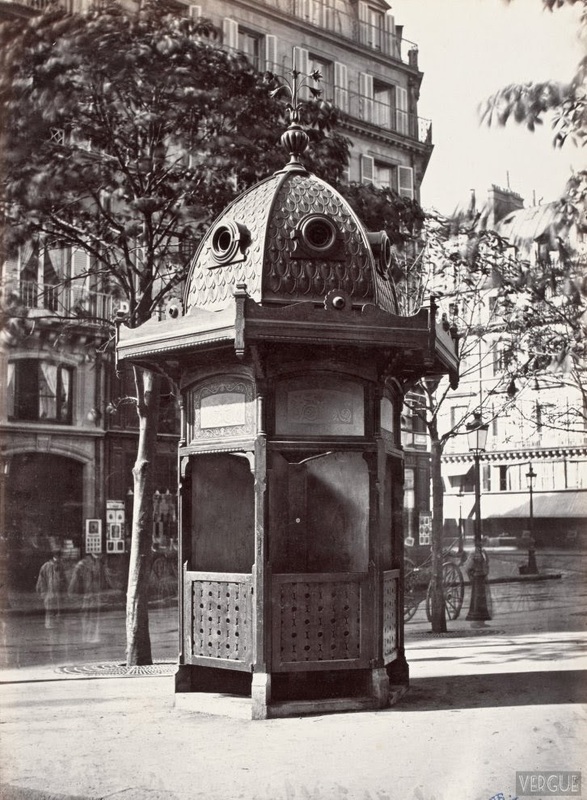 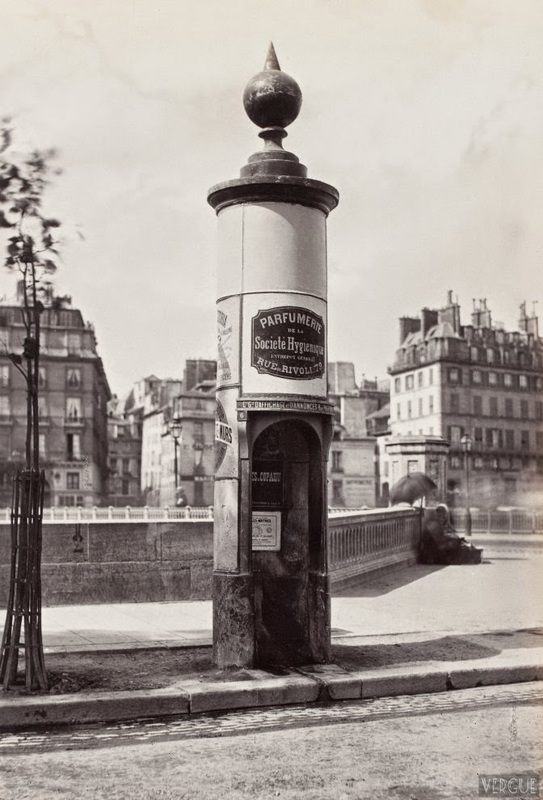 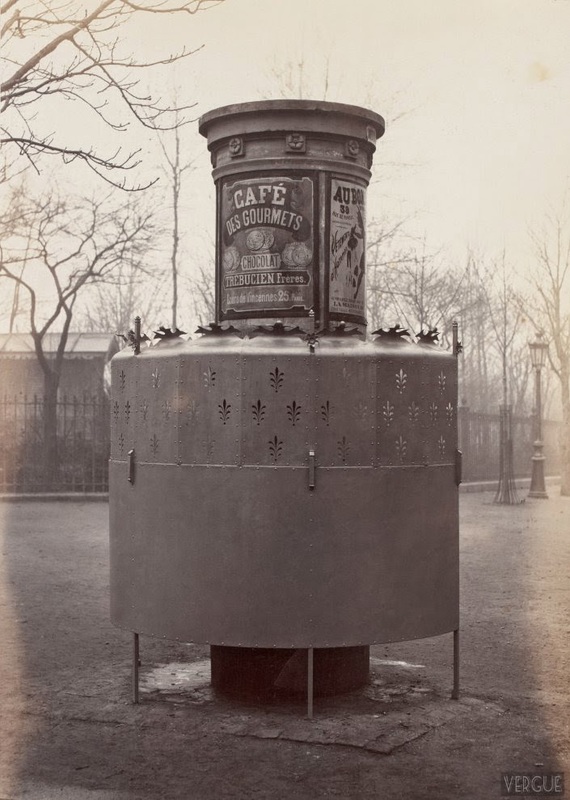 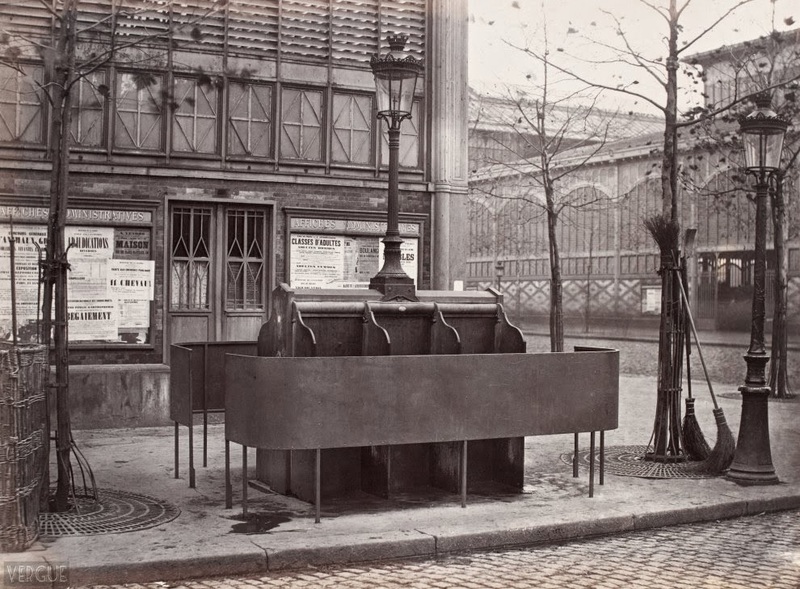 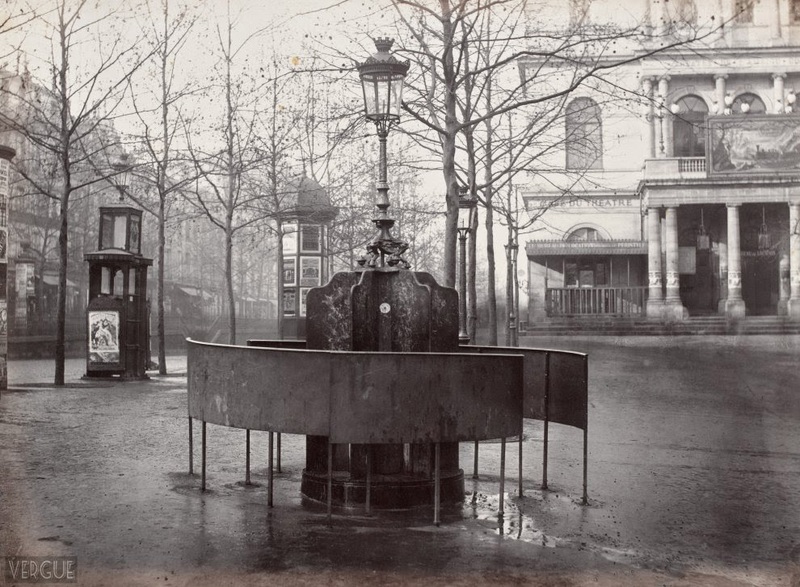 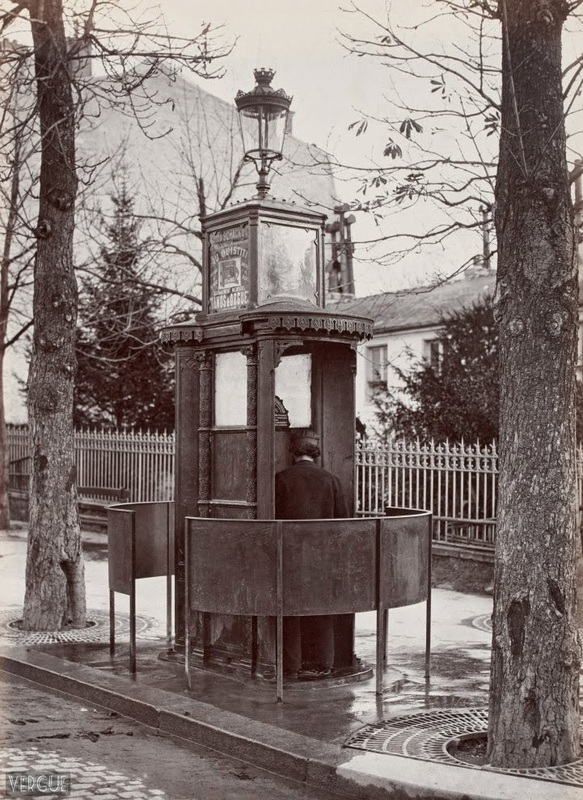 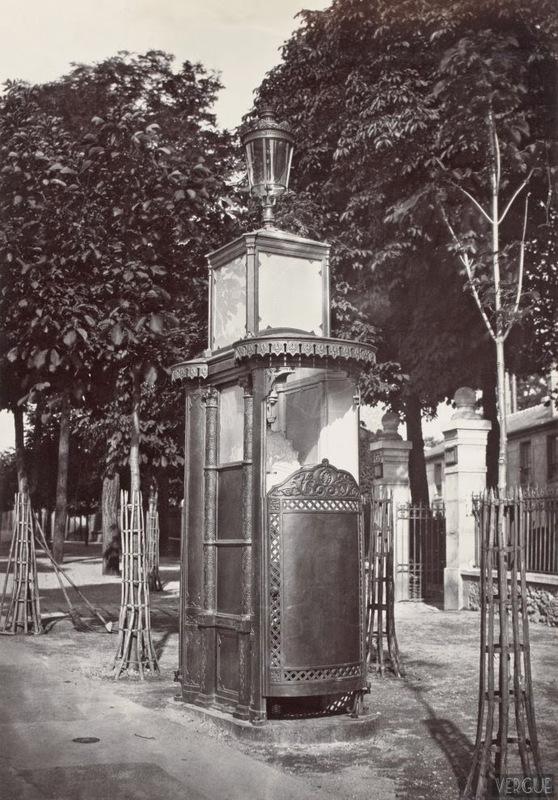 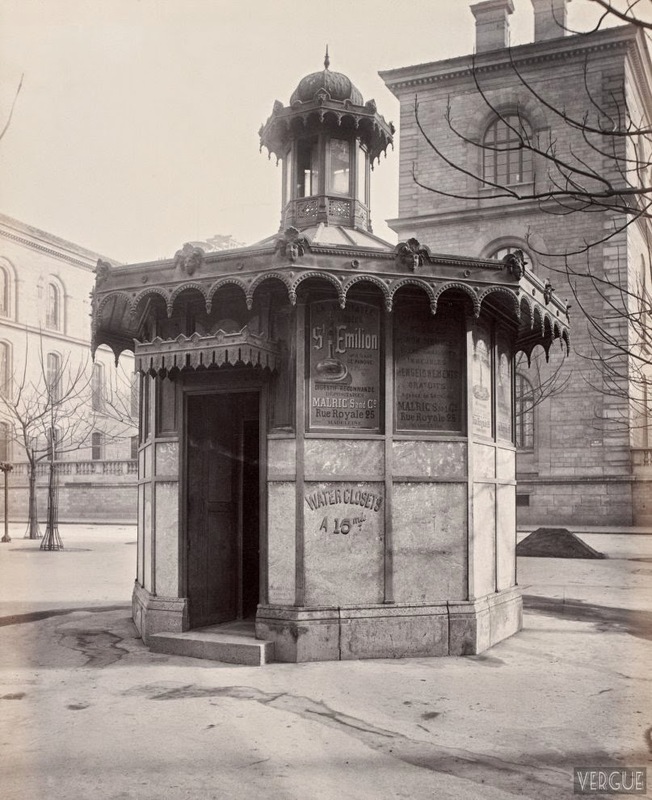 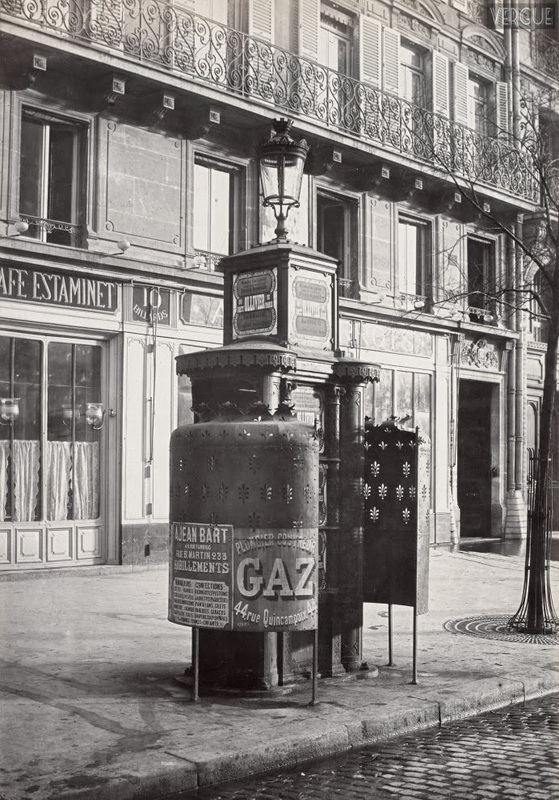 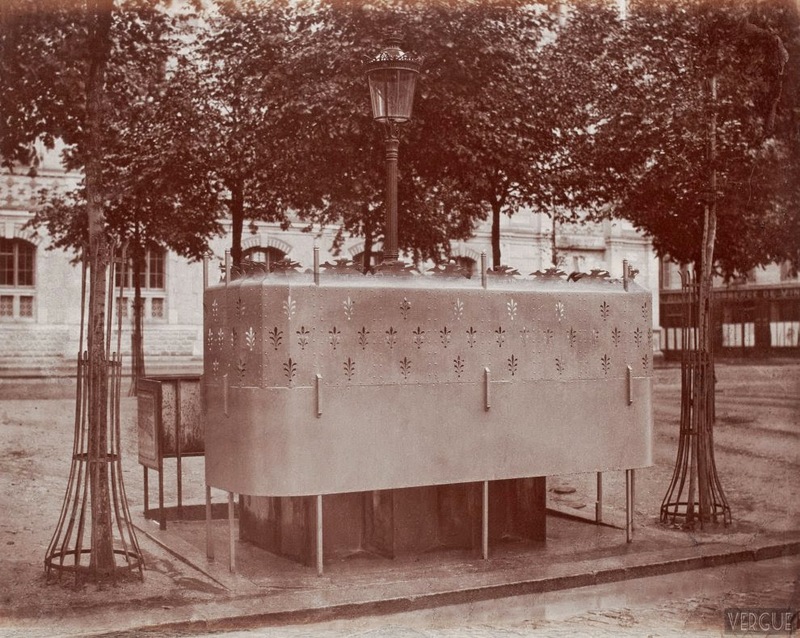 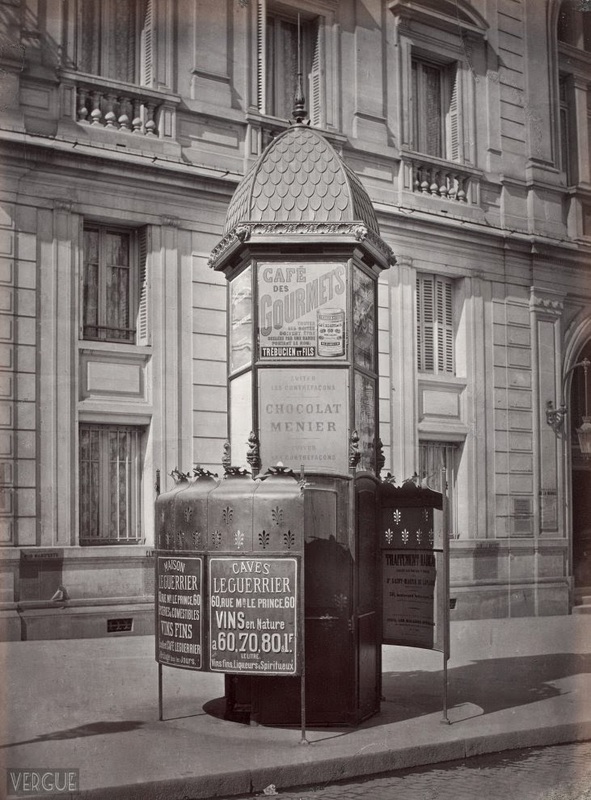 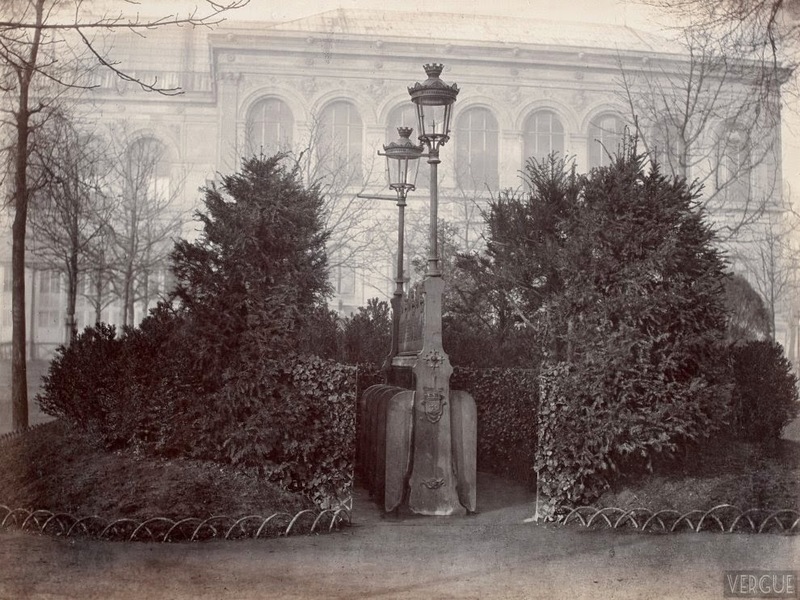 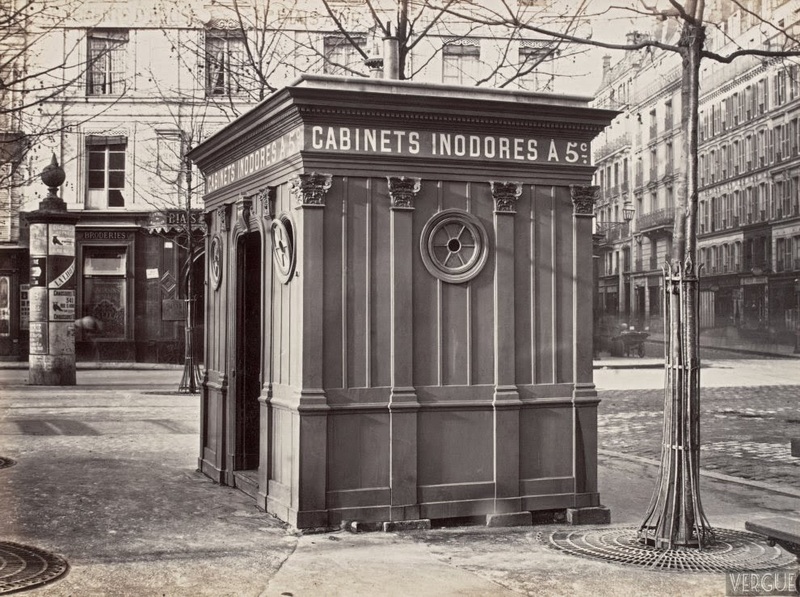 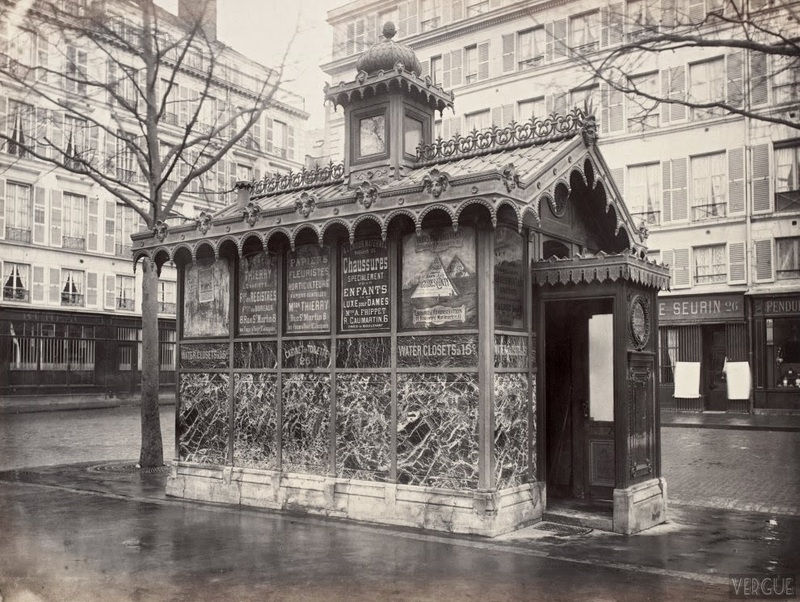 From 1862, as official photographer for the city of Paris, he documented aspects of the radical modernization program. 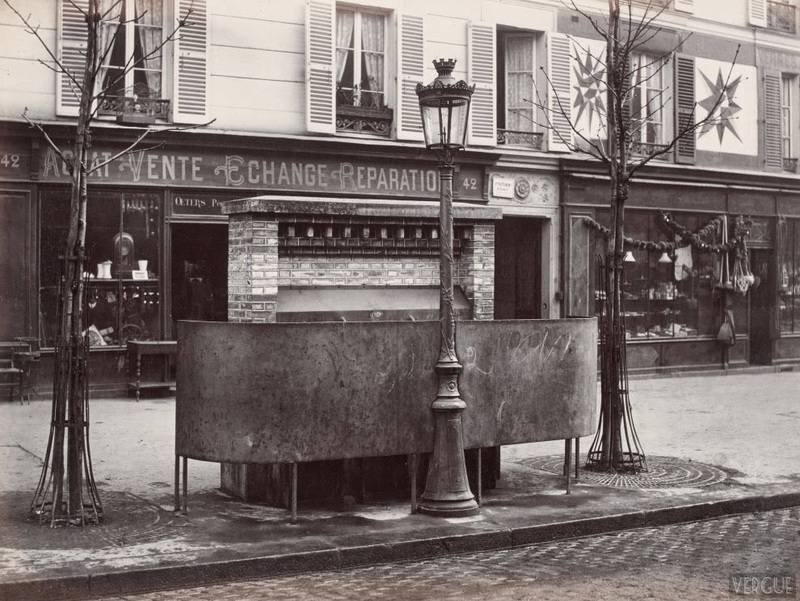 In this capacity, Marville photographed the city's oldest quarters, and especially the narrow, winding streets slated for demolition. 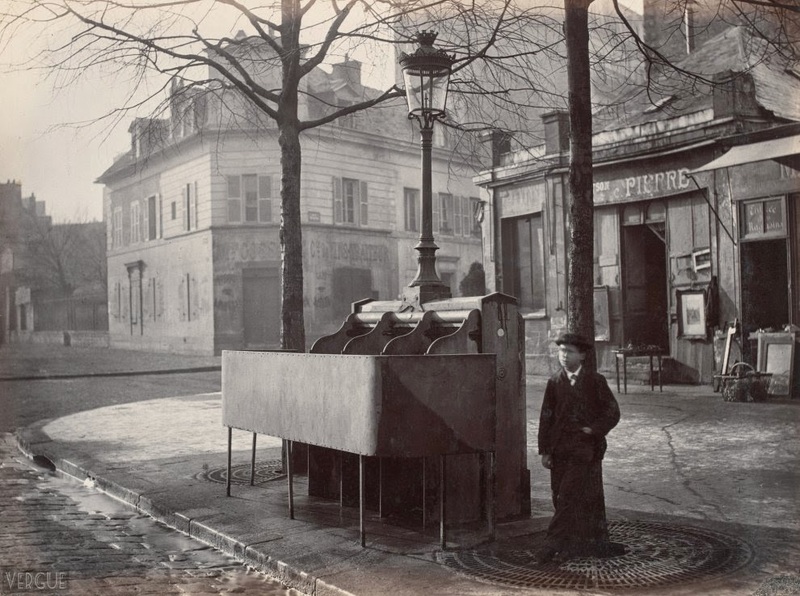 Many of his photographs celebrate its glamour and comforts, but sometimes he also captured a normal life. 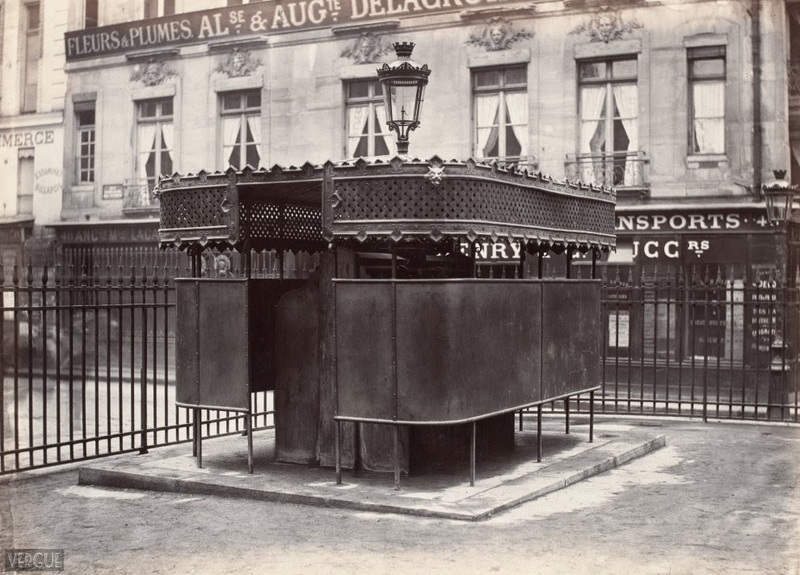 One of the his favorite topics were public toilets.